“Mahānāma, there is a phenomenon which has not been internally abandoned by you, on account of which your mind is sometimes overwhelmed by the nature of greed, the nature of hate, and the nature of delusion. Mahānāma, if that phenomenon was internally abandoned by you, you would not live a household life, and you would not indulge in sensuality. Mahānāma, because that phenomenon has not been internally abandoned by you, you still live a household life and you still indulge in sensuality. “’Sensuality has little gratification – it brings much suffering and much anguish; the drawback here is greater.’ Mahānāma, even if a disciple of the noble ones has truly seen this well with correct wisdom, if he does not attain rapture and happiness apart from sensuality and unwholesome phenomena1 or something more peaceful than that2, then he does not turn away from sensuality. Mahānāma, when a disciple of the noble ones has truly seen well with correct wisdom that ‘sensuality has little gratification – it brings much suffering and much anguish; the drawback here is greater,’ and he attains rapture and happiness apart from sensuality and unwholesome phenomena or something more peaceful than that, then he turns away from sensuality. “Mahānāma, before my Awakening, when I was still an unawakened Bodhisatta3, I truly saw well with correct wisdom that ‘sensuality has little gratification – it brings much suffering and much anguish; the drawback here is greater.’ However, I did not attain rapture and happiness apart from sensuality and unwholesome phenomena or something more peaceful than that, so I did not turn away from sensuality. But, Mahānāma, when I truly saw well with correct wisdom that ‘sensuality has little gratification – it brings much suffering and much anguish; the drawback here is greater,’ and I attained rapture and happiness apart from sensuality and unwholesome phenomena or something more peaceful than that, then I turned away from sensuality. “Mahānāma, what is the gratification in relation to sensuality? [The Buddha then states the gratification and the danger in relation to sensuality exactly as in MN13 Mahādukkhakkhandha Sutta] …this is a future drawback in relation to sensuality: the mass of suffering which is caused by sensuality, originates in sensuality, is the consequence of sensuality – the cause of which is just sensuality. This is what the Blessed One said. Satisfied, Mahānāma delighted in the Blessed One’s speech. 1 This most likely refers to the rapture and happiness of first and second Jhāna. 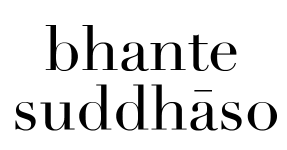 2 Third Jhāna, fourth Jhāna, or an immaterial attainment. 4 Followers of Nigaṇṭha Nātaputta. Their religion is believed to be identical with Jainism. 5 Tapas. It was believed at that time by some ascetic religions that experiencing pain produced “spiritual heat” which would then burn up one’s harmful karma.